The Peaks now rival Cornwall for the English place I most want to go back to. I went to the Peaks for the first time last weekend. I have lots of things to say about it (in particular: in Pride & Prejudice, there is a scene where Keira Knightley is standing on a cliff, and I was like “Hollywood, please. that is not England.” I stand corrected). 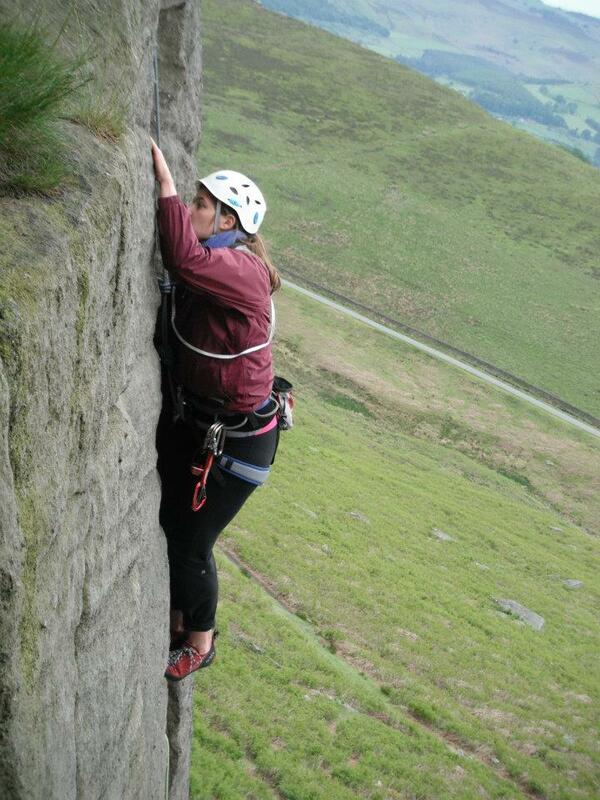 This is ME climbing gritstone in the Peaks. 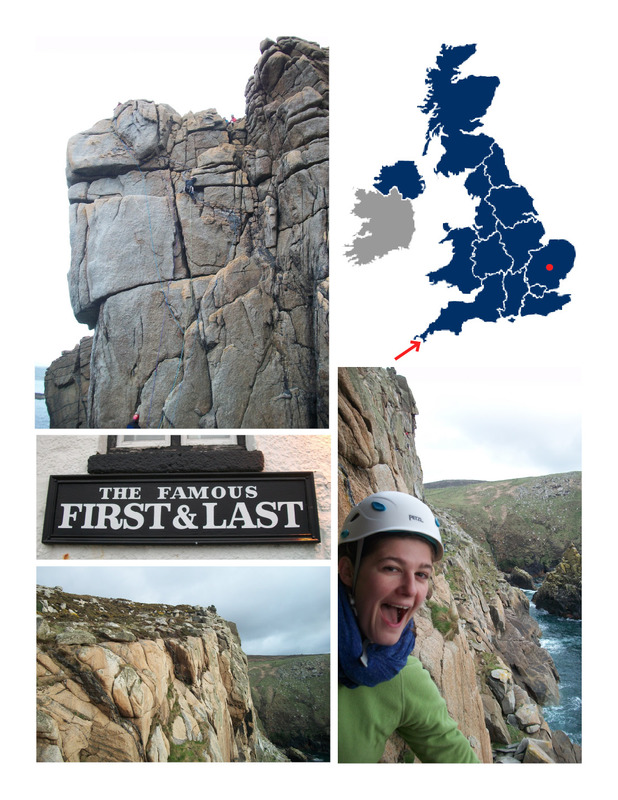 It was only my second trad climbing experience, but hopefully the second of many. I’m already making plans trips (plural) to Wales and hopefully the south coast this summer, even though weekends are already awfully few and far between, even at this early stage in the summer and with this miserable weather. There is SO MUCH FUN to be had! I was in Boston for three days last week and, despite 5-degree-Fahrenheit temps, it was pretty wonderful. I got to visit my old rock gym and my old yoga studio in addition to seeing many of my remaining friends and, as already detailed, eat in some fantastic places. Most people don’t get excited about indoor climbing gyms and yoga studios when they visit Boston, but there are some crazy indoor adventure sport options that I think would make for an awesome holiday in and of themselves – spending the week taking in the city’s best indoor alternative fitness options. I can think of a bunch right off the bat. I personally am not a fan of bikram, but there are three studios in Boston and Cambridge if you are. I am a devotee of Prana Power Yoga – despite the fact that the studio owner is obviously a nutball. I recruited all summer to get people to go to this thing with me, and still never made it there. But I would *love* to go sometime if I’ve got any takers (Georgiana, I’m looking at you). Awesome, right? You can do it in Chicago and New York, too, but that’s a story for another time. And Boston is the only location where you can buy a couch when you’re done. This is technically in New Hampshire, but still. I’ve lost interest in trying outdoor skydiving, but I think indoors, I could be entertained for a seriously long time. There are also indoor laser tag, go karting and plenty of other stuff I’m sure. What did I miss?